The idea of reproduction carts sometimes carries a negative stigma because there have been cases of people passing them off as originals. I make every effort to ensure the games I build aren't confused for originals. 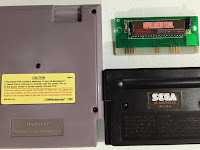 Firstly, I try to make sure the cartridge label artwork is modified in some way, using UK or Japanese artwork in place of the original (which in most cases is better than the USA artwork anyway). Next, I place a "RE-ASSEMBLED IN USA" label on the back. Finally, I label the EPROM on the inside with the chip type, name of game, developer, and the date I built it. 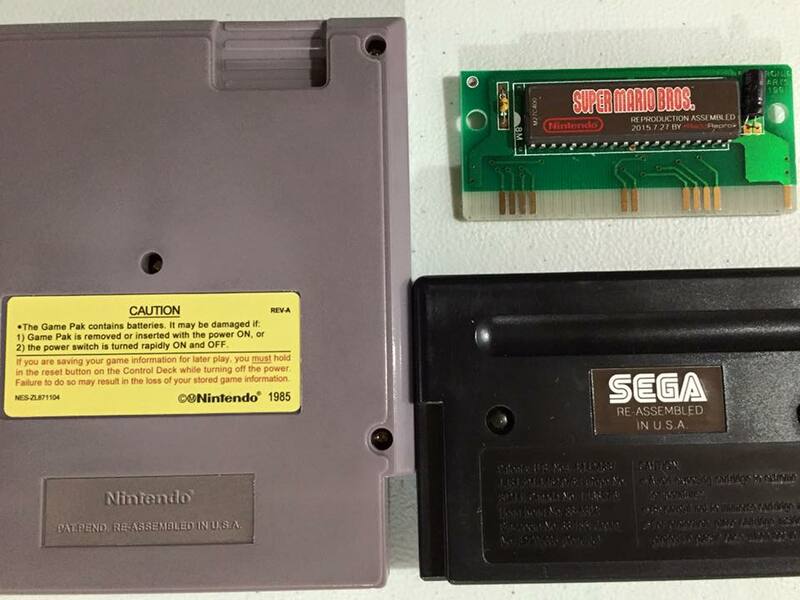 My hope is that when people see my games, they see beautiful collectible carts, but still know they're looking at a repro.